Contrary to Ms. Rice’s assertion above, one nation HAS not acknowledged that there are many invisible beings. Actually, the nation formerly known as the United States of America has attempted to indoctrinate the public with the knowledge that there are NO invisible beings which are recorded in the Bible. It is not that Americans do not believe in invisible beings: they most certainly do. HOWEVER, Americans have been taught to call these invisible beings by different names: germs, bacteria, microbes, viruses, and a host of other such names. Americans HAVE divided these invisible beings into both the good and the bad, according to how they benefit man. Modern man likes to flatter himself that he could not possibly believe in exorcism–YET modern man believes that bleach or alcohol have the power to banish many invisible beings he does believe in. Modern man likes to flatter himself that he could not possibly believe in invisible beings–YET those moderns who worship at the altar of Science! believe in a great many invisible beings because witch doctors in white lab coats called “scientists” tell them it is so. Most of these “scientific” stories have absolutely NO proof. But they DO have imaginative stories and they ask so nicely to believe their stories, one almost hates to disagree. Modern man likes to flatter himself that he knows how the world works–YET modern man knows the stories he believes do not explain many of the common events or happenings in the his life. 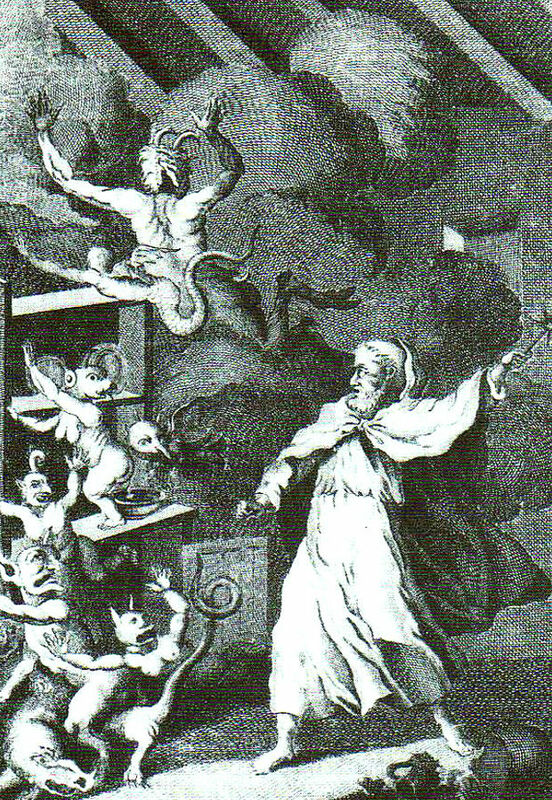 With all of this in mind, here are 54 ETPR articles on exorcism, exorcists, demons, devils, evil spirits and the demonic. DOES the reader believe he is far advanced over those who came before him? WOULD the reader change his mind IF one of the world’s authorities (such as science or medicine) instructed the reader that these invisible beings existed? WHY does the reader believe the stories of this world instead of God’s Word?